Have you heard about the Stockholm Bombay Project? I stumbled upon it recently and fell in love with the concept. Karolina Svensk, based in Sweden is the creative Director and founder of the Project. 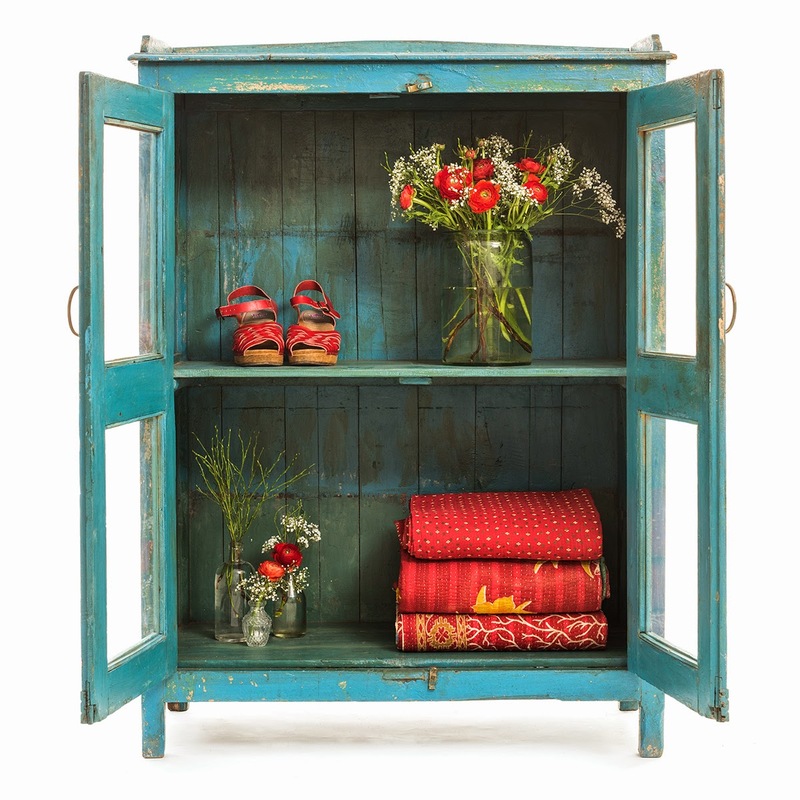 Stockholm Bombay Project brings together a colorful product line of vintage items for the bohemian home! The motivation behind this project is simple, and the thought behind it, is something........I for one completely relate to. " I think we should see opportunities in old things, rather than dismiss them as just old. 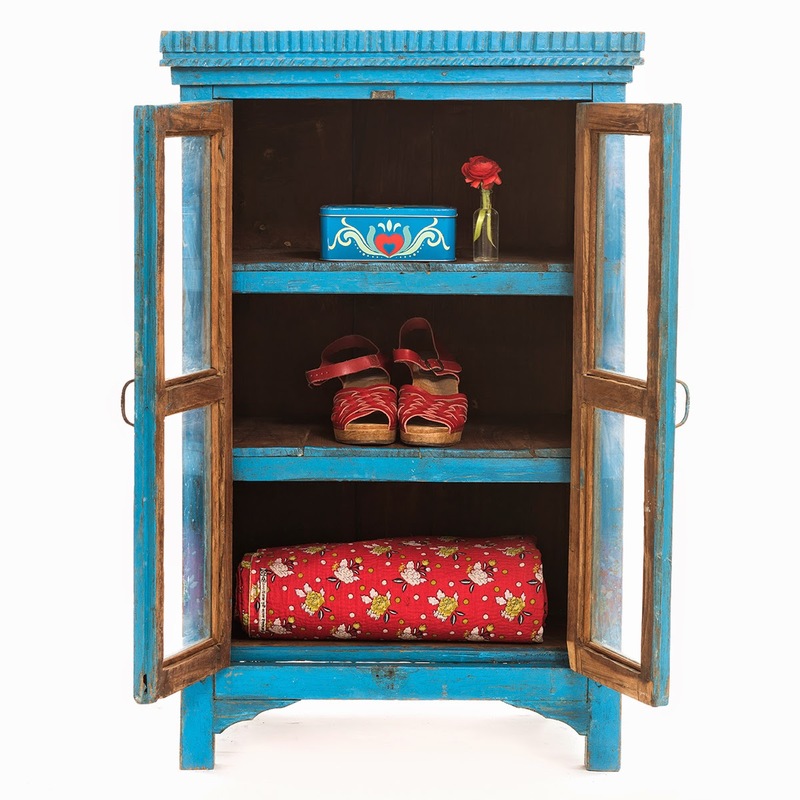 There is an incredible value in objects that have a history and genuine craftsmanship behind them". 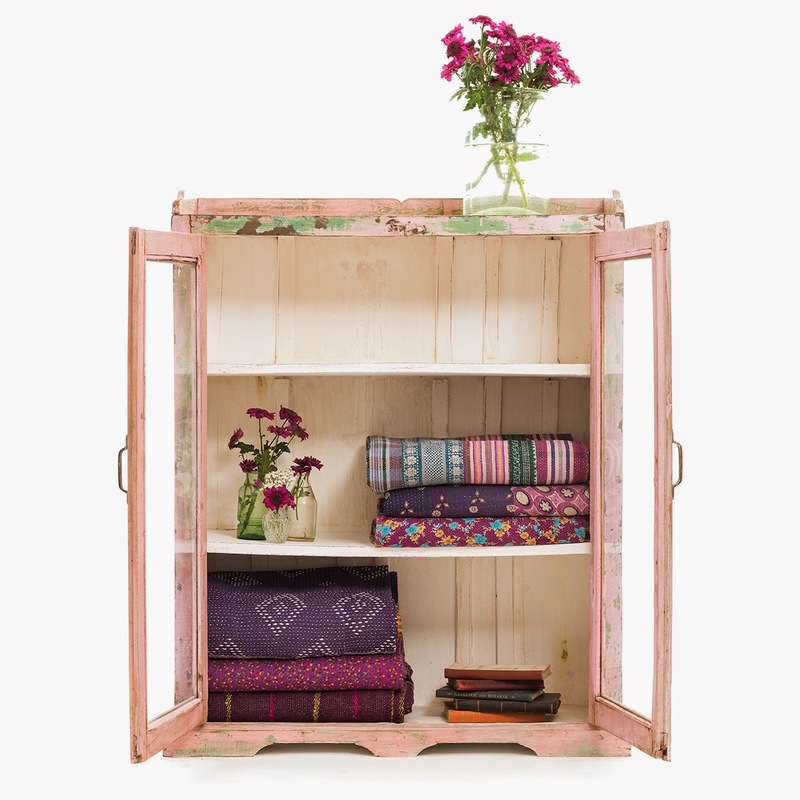 The store carries a collection of textiles, handpicked furniture and handicrafts. 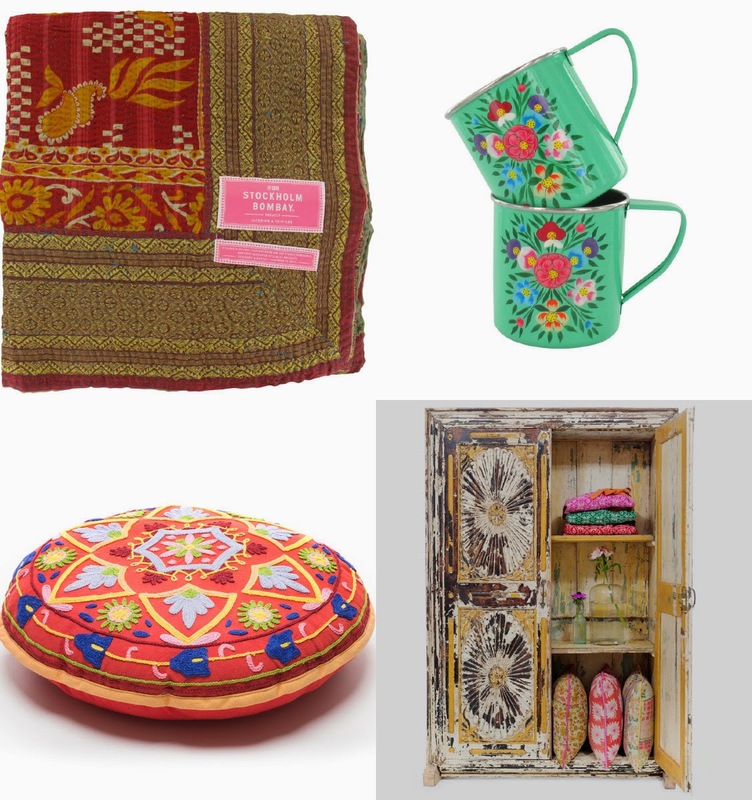 The mission is to highlight faraway cultures and give craft traditions an opportunity to live on. You can visit their website for more information and to view the entire collection! Images: via : Stockholm Bombay Project and subject to Copyright.